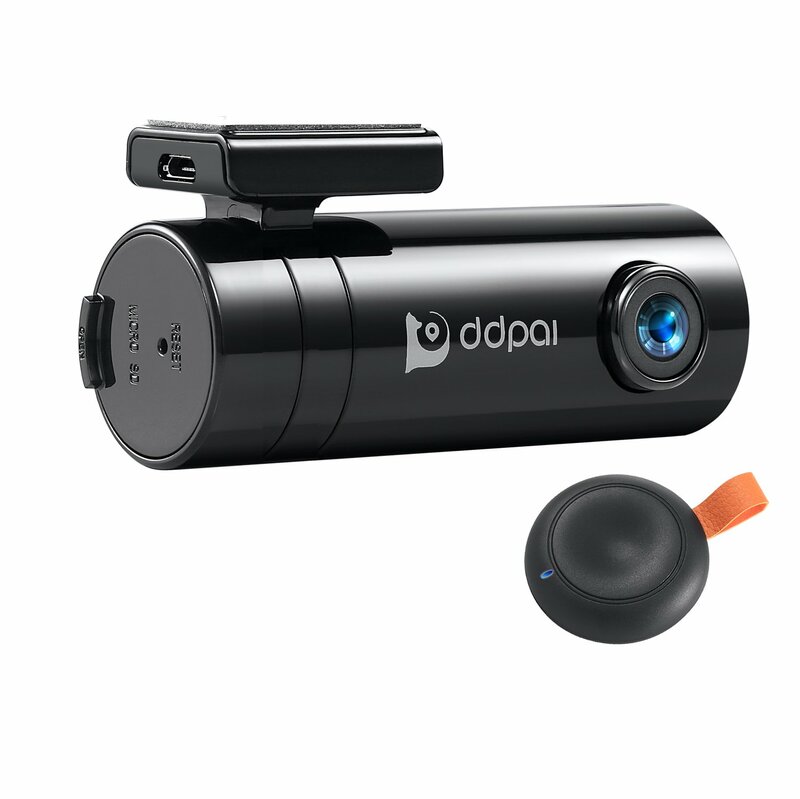 DDPai is a brand that doesn’t have much of a following within the dash cam industry yet. However, they have a range of budget to mid-range dash cams on the market right now that have received quite positive responses from users, so we were really eager to try this one out. Please read on below for our thorough review. Incredible recording quality thanks to the 1440P 2K resolution. Perfect for those who want to have 24 hour parking monitoring. The initial setup process is a little complex. The quality of night vision recording isn’t great. When we first saw the design of the DDPai Mini 2 we felt a little unsure of what we made of it. It isn’t exactly what you’d expect from a dash cam. The camera itself is cylindrical in shape which is definitely a little different. We were initially concerned that this might obstruct the view from the windscreen but we actually found that it fit neatly behind the rear view mirror. 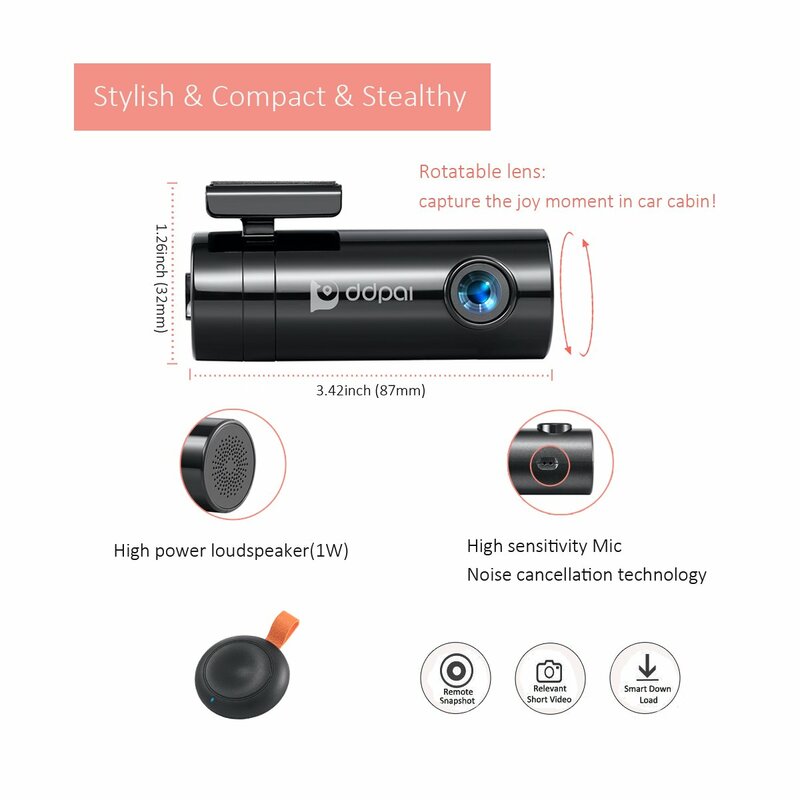 One of the things that we found really interesting about the design of this dash cam is the microphone which is located on the right hand side of the tube shape. We found that this positioning really helps the camera to pick up audio at a much better quality, so this was definitely a plus point. Another design feature that we liked was the remote control. This allows you to capture snap shots as you’re driving. 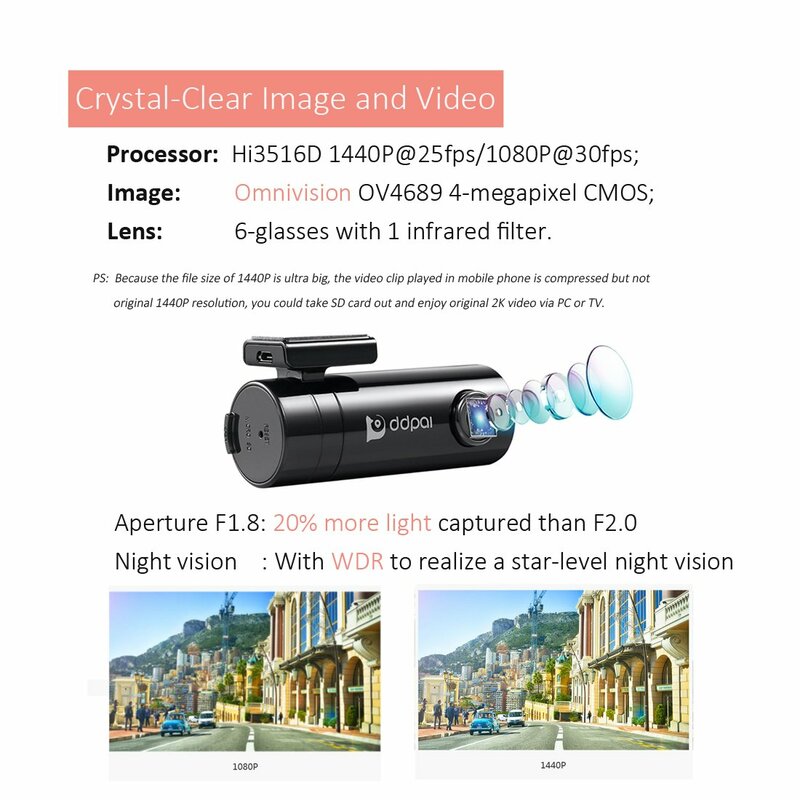 The best design feature for us, however, is the rotating lens. Because it is able to rotate, you are able to record both inside and outside of the car which is definitely a nice feature to have. Installing the DDPai Mini 2 was no problem at all. The problem that we did have, however, is with the initial set up process. Unfortunately, we found that it was a little complicated and hard to figure out which was quite frustrating. However, once we had completed the setup, we were ready to put it through its paces. First of all, we were quite impressed with the 140 degree wide angle lens. We tested it out and were really impressed to see that it covers 4 lanes which is more than enough to capture everything that you’d need to. One of the things that we really liked was the 24 hour parking monitor feature. We tested it out and were really impressed with the results. The recording quality in general with this dash cam was actually very impressive in the daytime. We had no trouble reading number plates and seeing finer details clearly. However, night time recording was a little disappointing. We found that the image quality was grainy and this made it very difficult to see things like number plates clearly. One thing that did impress us was the audio quality on the recordings. As we mentioned above the speaker is located at the end of the device and we definitely felt that this made a huge difference to the amount of audio that was picked up during recording. This is where we felt that the DDPai Mini 2 really excelled. There are plenty of extra features that really impressed us. First of all, we loved the remote control that comes with the device. This allows you to take snapshots when you are on the move without having to stop the car and operate the dash cam itself. Another feature that we were really pleased with is the Android app that you can download to use in combination with the dash cam. We found that this makes using the device a lot simpler and we liked the extra features that you are able to access via the app. For an entry level dash cam, we have to say that this one really exceeded our expectations. Although the design is a little different, don’t let this put you off. It is packed full of extra features and performs at a very high level indeed. We would definitely recommend this model.